You might notice that this same old blog has a new address. Yeah, hopefully that won’t cause too many problems. Nerts. “Why the change?” no one has asked yet. But I’ll explain anyway. I started this blog a almost three years ago. At that time I was working at a job that wasn’t always the most fulfilling experience in the world. One of my ways of coping was to open up a browser window and just type away at little thoughts and threads of stories. Oh, I should also mention that I leave in a country where English is not the primary language. Much easier to get away with typing on short stories if it still looks like work to the occasional passerby. Still, updating a blog, however infrequently, while at work was not something I wanted to be caught doing. Especially at the time there was an effort to keep people from doing such things while on the clock. Also, I didn’t know if I would want to vent about my job so I wanted a name that didn’t quite roll off the tongue. I wanted something that my mom and dad and a few friends could bookmark and that hardly anyone else would stumble across. Also, my wife and I had just purchased a pet parrot. Our little Rock Conure, or in Japanese an iwaurokoinko. Now that is a clumsy word to say and type. A perfect name for a secret blog. But now I’m writing for a purpose other than stress. I’m writing to hopefully keep away from the world of salarymen and business suits. I’m writing so that folk can easily find my site and say “this fellow sounds neat, I will buy a copy of his self-published (and hopefully released in time for the winter holidays) book!” And so the name change. Why deadlytroubadour? That is much more simple. 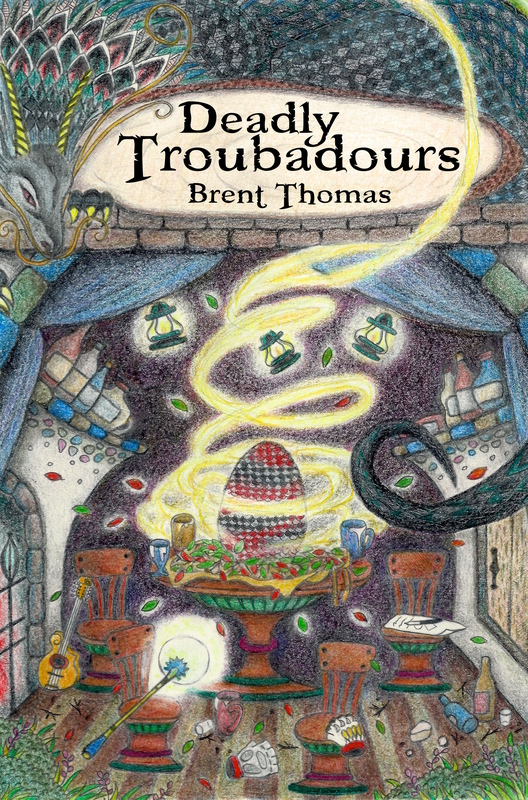 My book is titled “Deadly Troubadours.” And because I like the word troubadour. It has that essence of music and story and song and tale-spinners. It basically has that feeling of what I want to be when I grow up. Deadly because well, it works with the book. You’ll have to read it to find out why. So, deadlytroubadour. That’s me. Tell your friends.